5" x 3" with red handle knobs, attractive blue finish. 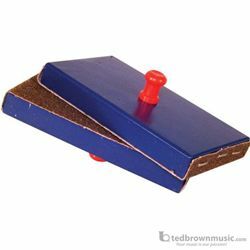 The sandpaper produces a very effective rhythmic sound when rubbed together. Used for teaching short sounds, long sounds and longer sounds.